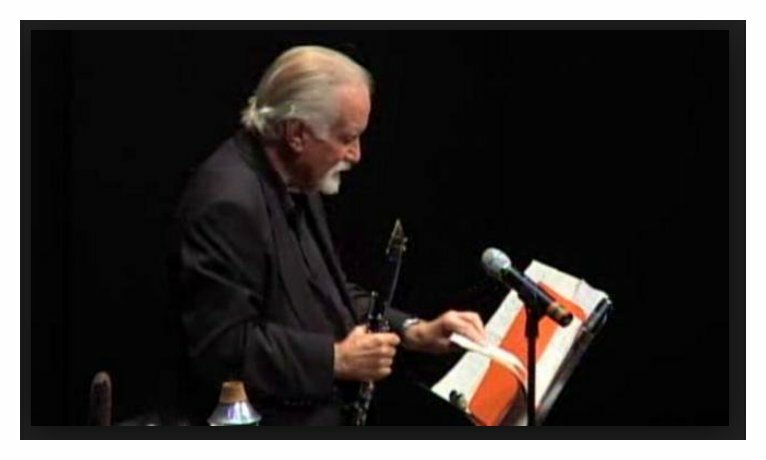 William O. Smith Interview with Bruce Duffie . . . . . .
Born in Sacramento, California, in 1926, William O. Smith began playing the clarinet at the age of ten. In his teens, he initiated the dual life that he has followed ever since: leading a jazz orchestra while also performing with the Oakland Symphony. After high school and a year "on the road" traveling with various bands, he attended Juilliard during the day while playing jazz clubs at night. 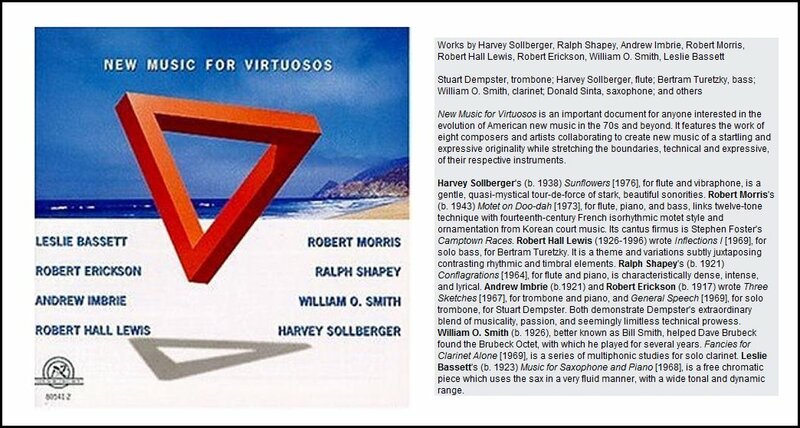 Smith studied composition with Darius Milhaud at Mills College in 1946 and with Roger Sessions at the University of California at Berkeley, receiving B.A. and M.A degrees from that school in 1950 and 1952. He also attended classes at the Paris Conservatory (1952-53) and the Juilliard Institute (1957-58). His awards include a Prix de Paris, the Phelan Award, a Prix de Rome, A Fromm Players Fellowship, a National Academy of Arts and Letters Award, a BMI Jazz Pioneer Award, and two Guggenheims. He taught at the University of California, Berkeley, the San Francisco Conservatory, and the University of Southern California. Since 1966, he has been the director of the Contemporary Group at the University ot Washington. His association with Dave Brubeck began at Mills College, where he was one of the founders of the Dave Brubeck Octet and responsible for many of the group's arrangements. His SCHIZOPHRENIC SCHERZO, written for the Octet in 1947, was one of the first successful integrations of modern jazz and classical procedures, a style which later became known as "third stream." His work with Brubeck and others in this direction can be heard on a number of recordings. In the early 1960s, he was also among the earliest performers to experiment with new color resources for the clarinet, this after listening to Severino Gazzeloni's similar work on the flute. His DUO FOR FLUTE AND CLARINET (1961) used these techniques, the multiple sonorities very likely being the first of their type to be precisely notated. 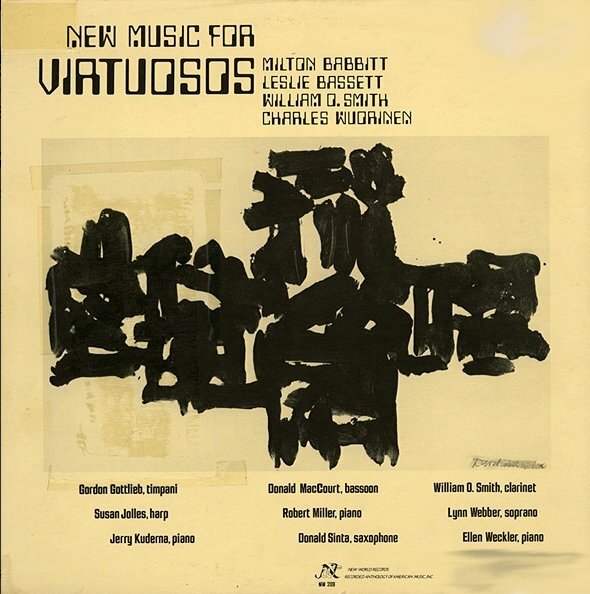 He was also responsible for a number of other works using these sonorities, including John Eaton's CONCERT MUSIC FOR SOLO CLARINET (recorded on CRI 296), Gunther Schuller's EPISODES, Larry Austin's CURRENT FOR CLARINET AND PIANO, William Bergsma's ILLEGIBLE CANONS (recorded on MHS 3533), Pauline Oliveros' THE WHEEL OF FORTUNE - a theatre piece based on Smith's astrological chart - and Luigi Nono's A FLORESTA (recorded on Arcophon AC 6811). 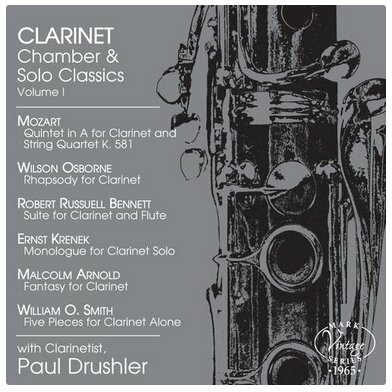 About VARIANTS FOR SOLO CLARINET (1963), Eric Salzman wrote in the New York Herald Tribune on March 14, 1964, "William Smith's clarinet pieces, played by himself, must be heard to believe - double, even triple stops; pure whistling harmonics; tremolo growls and burbles; ghosts of tones, shrill screams of sounds, weird echoes, whispers and clarinet twitches; the thinnest of thin, pure lines; then veritable avalanches of bubbling, burbling sound. Completely impossible except that it happened." In the summer of 1987, I returned to Seattle for the Pacific Northwest Wagner Festival, and then a cruise of the Inside Passage of Southeast Alaska. While I was in Seattle, I arranged to meet with a few musicians for interviews. Baritone Frank Guarrera and bass Archie Drake graciously agreed, and having previously spoken with William Bergsma on the telephone, he invited me to his home for further discussion. The same arrangement happened again at the end of my trip — an earlier telephone chat with the Canadian singers Léopold Simoneau and Pierrette Alarie yielded a similar invitation to their home in Victoria, B.C., and more of our interview. It was Bergsma who suggested meeting with William O. Smith, and then gave me his contact information. I was staying in a quiet, residential neighborhood, and knowing the peculiarities of the Seattle landscape, Smith said it would be easier for him to come to my temporary residence. That is where we spent a delightful hour. After the usual greetings and pleasantries, here is what took place on the last day of July . . . . . . . .
Bruce Duffie: Where’s music going today? BD: All right then, where is the music of William O. Smith going? WOS: I’ve become very interested in computers and high tech developments in music, and one of the most fascinating things for me, at this moment, is exploring the possibilities of music notation on computers. The piece I’m doing now is for woodwind quintet, with the score moving in real time on a screen that’s realized by a computer. BD: Is this the working score, or the actual score that will be played? WOS: It is the actual score they read from. In performance the score will be projected on a nine-foot by twelve-foot screen that is a blow-up of the computer monitor that I’m realizing the graphics on. This is the fourth piece I’ve done. They’re not electronic music, but they’re using the possibilities of letting the computer sort out the difficulties and rhythmic complications. One piece I did several years ago for the Kronos Quartet, which was called Kronos, involved four different tempos simultaneously. They were in a proportion, always, of four to five to six to seven, or to put it another way, the quarter note of the cello equaled 80, the viola equaled 100, the second violin was 120, and the first violin was 140. With the computer, that’s easy to realize. Your music is just flowing by, and when it hits the trigger line you play at that moment. Then it doesn’t matter that these are complicated things intellectually. It doesn’t matter to the computer, and the musician doesn’t have to be bothered with it, either. He just plays his note at his trigger line. In other words, it’s like what happens if you’re playing an audio tape. The note sounds when it goes by the read head. It plays at that moment, and this is just the same visually. When the note reaches the line indicating play, you play, and you stop when it leaves. Anyway, it seems to me it’s a way of exploring what would be very complicated rhythmic combinations in a way that is practical. BD: Is this something that grows out of an artistic need, or is it more of an exercise? WOS: No. It’s not of an artistic need. Normally our music notation limits us, basically, to working on the equivalent of squared graph papers. We have squares that’ll give you half of the duration of the note or half again if we have an eighth note, or that divided by half. But if I say, “Okay, I don’t want to think about a grid. I want a note now. [pause] Now I want the next note. [pause of a different length] Now the next note,” I can do that with the computer. I can specifically say when I want any note, regardless of anything else. I gave the one example of a complex mathematical problem, but on the other side of the coin, it can also give you completely free, irrational things. Or, to put it most simply, if you want a ritard, you can precisely notate that ritard on a computer screen, where you cannot on a piece of paper which just sits there. BD: So it’ll always be your ritard and not the performer’s ritard? WOS: That’s right. If you want to leave some latitude for the performers, then you could have a line that is of a width. You could say, “Perform this note within the two lines that are indicated.” So it is also possible to give more freedom to the performers. It’s not necessary to lock them into a hair trigger precision. You can say, “Okay, play more or less where it’s indicated, but you have one inch leeway there of when your attack comes.” To me it makes all the sense in the world to have the notation flow by in time as music does, instead of having it sitting on a piece of paper where there’s no way you can give exact tempos. We never know what the real tempo was that Beethoven wanted or Bach wanted. BD: Is it at all like a teleprompter? WOS: Yes, I suppose, like words going by on a teleprompter. It’s just that the pitches go by so that you know precisely when to play. BD: Then you can have more absolute control? WOS: Mm-hm, or more freedom if you want. I’ve used a similar process with jazz players for improvisation. You can say, “Play the given notes as long as they appear on the screen.” Or you can say, “For five seconds you can play, choosing this group of notes. For the next eight seconds, you’ve got these other notes to choose from. For the next four seconds, you’ve got these notes.” So, it’s a way to control absolutely precisely or very freely, if you want, but under control in a general way if you want to give the performer more freedom. It’s not necessarily a straightjacket. WOS: Well, there’s an interesting question. Yes, I would say that I have. Almost always my compositions come out sounding like what I anticipated they would sound like when I wrote them. The challenge of the composer is to have a vision that you want to hear in sound, and to figure out the way to put that on paper so that it will come out sounding like you want. I supposed it is like an architect putting up a skyscraper. You have to imagine what it’s going to look like, and then put down the necessary information so it, in fact, will look like that. Then when you look at it you can say, “Ah yes, the skyscraper worked. That’s what I envisioned.” It’s similar with my compositions. I’ve always thought, “Okay, it worked. That’s the vision I was trying to realize.” I can hardly think of a time when I’ve been disappointed with the realization of a piece, although sometimes with orchestra pieces, it’s hard. If there’s not an enthusiasm on the part of the players, it sometimes can be hard, because it’s not only realizing what’s on the paper, but also adding some kind of fire of your own. With symphony orchestras, sometimes there’s an antipathy that is so great that it becomes difficult. BD: You can’t overcome that? WOS: You can’t feel good about it! [Laughs] But mostly I’ve written chamber music, and mostly it has been for players who wanted to play what I wrote for them, and I’ve been happy. BD: Do they ever find things in your scores that you didn’t know you did there? WOS: Sometimes things will come out better than I anticipated. Yes, they’ll have an interpretation or something that will please me more than I thought it would. BD: You’re also a clarinet player and you have played your own compositions, as well as those of others. WOS: Uh, yeah... [Both laugh] A lot of my music uses very specialized clarinet techniques — multiphonics, muted notes, very high notes and effects that are comfortable to me but to very few other clarinetists. I try to write a lot of my music so that other clarinetists can do it comfortably, that doesn’t use the special effects, but generally I’m torn between should I write it using my utmost knowledge of the coloristic possibilities of the clarinet and thereby limit the performers to a handful, or should I just write a regular, conventional clarinet technique piece and then everybody can perform it? But then it won’t use the things that I know the clarinet can do, so sometimes I will do things that I know will be comfortable for any professional player. Other times I do things that I know I can play comfortably, and a handful of people with similar backgrounds and interests to mine can. BD: And the hell with the rest of them? WOS: Well, I don’t like to think that. I don’t really think ‘the hell with the rest of them’, but in essence that’s what it boils down to. They’re things any clarinet player of my music could learn if he wanted to, but it takes time to learn the special techniques. BD: Are you finding, especially in some older pieces that were very difficult, that they are now becoming almost second nature to some players? WOS: Yes, I think that’s true. 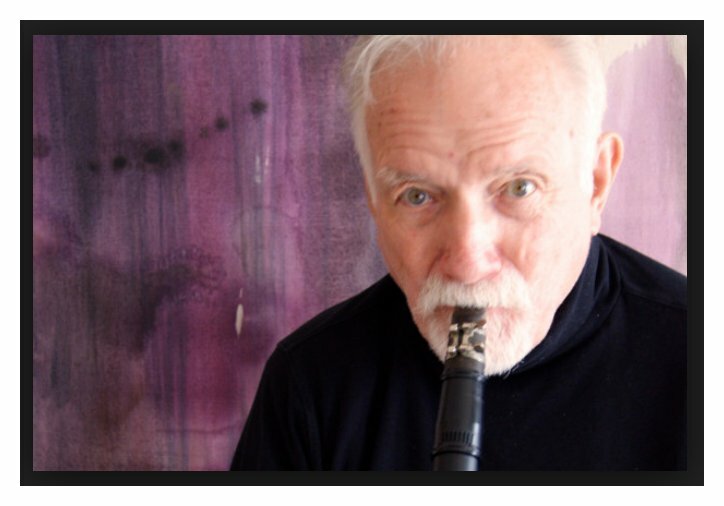 I first started exploring new clarinet techniques — or let’s say unusual clarinet sonorities — in the early sixties, and at that time there was no one else that was doing it. Then as the years went by, I found kindred spirits. Gerry Errante, most notably in the United States, and Ian Mitchell in England, have much the same performance capabilities that I do, and they can play these things with ease. All of us, over the years, have developed. That was over twenty years ago, but now it’s not so difficult to play some of the unusual clarinet sonorities that were first really tough. BD: Do you write the things to be unusual? WOS: No... well, that’s the hard question because it’s like which came first, the chicken or the egg? I write it because I want to explore, that’s why. It is a thirst for something, to get away from a boredom with the routine, conventional things, and an interest in exploring new territory. It’s the same thing with rhythmic ideas. I think, “Oh, boy. Here’s an area that really sounds fascinating, and is an extension of the kind of things I’ve done, and that nobody’s worked with before.” That would interest me to do. So it’s partly boredom with the conventions that are overly familiar, and excitement with the new territory to explore. BD: Is it exploration on the part of the composer, or also exploration on the part of the public? WOS: All together. I’m very conscious of wanting to communicate with an audience, but not with a mass audience. I don’t think, “Now I’ve got to make something that’s going to please everybody,” but I have sort of an ideal listener in mind. I’m not doing it just for my own amusement, but with the hopes that somebody with similar interests to my own, or a similar outlook to my own, in the audience would think, “Oh, that’s interesting. I see what he’s trying to do. That’s really striking. I like that. That moves me.” It takes a certain openness of mind. It takes the kind of person who is willing to open their ears and try to see things, or try to understand things that are not familiar, and your average audience is not of that makeup, I’m afraid. BD: Is there any way to encourage more people to come to concerts that include your music? WOS: You have twentieth century music more available on radio. We have a lot of it available on recordings, but I think it would help if radio and television had more performances of twentieth century music. Not my music in particular; it’s true of all music of the twentieth century. It is all exploratory. At the beginning of this century there was a need to re-examine all the traditions and conventions of music. BD: To throw out the old, or just expand the old? WOS: Either way. It depends on who you’re talking about. Almost everybody expands the old; certainly I do, and even the most radical composers such as Webern and Schoenberg. They didn’t think of themselves as throwing out the old, but as expanding it, and most serious musicians have felt that way. There are exceptions, certainly, especially since World War II. In fact, immediately following both of the great wars there was a reaction against traditions that made breaking with a tradition desirable just in itself. In my own music, I’ve always felt a strong need to relate to the past, and my admiration for Mozart and Bach and composers of the past is too great to think that I would want to forget everything that came before me and start afresh. Nobody can do it even if they want to. There’s no way. It’s like a tree starting to grow without any roots below the soil. We are the result of what’s come before us whether we want to admit it or not, and even if we are reacting against it, it’s still influencing us. BD: Do you feel that you are part of a particular branch of that tree? WOS: Let’s see. [Thinks a moment] Of all twentieth century composers, the one I am most taken with is Stravinsky. My teacher was Darius Milhaud and he, likewise, was a great admirer of Stravinsky. There’s no doubt the qualities of Stravinsky and Milhaud were very strong in my early music, and still are. On the other hand, I also studied with Roger Sessions, and studied the music of Schoenberg and Webern and the Viennese School, and was influenced by their ideas also. But if there’s one main influence to me as a musician, it’s been Stravinsky. BD: What did Milhaud teach you? WOS: Well, everything. I studied everything from sixteenth century counterpoint and Bach fugue writing, orchestration, analysis, and composition. I went the gamut with Milhaud, from the most simple whole note against whole note counterpoint, to contemporary complexities. The one word that he used that I hope I learned from was ‘dare’. [Laughs] The other thing that goes along the same way was ‘should I try this?’ I was thinking about doing this piece for two orchestras moving in two different tempos, and he said, “Well, why not?” If your intuition is leading you in a direction that is not necessarily a well-trodden path, why not follow it? BD: When you’re writing something, are you in control of the music, or is the music in control of you? BD: Are you ever surprised by where the music leads you? WOS: I think so. I don’t know. It’s hard in the abstract to deal with that one. Sometimes I will start out a piece and not know where it’s going to take me, and will end up in places I hadn’t expected to get to. But more often than not, when I start a piece I have a general idea about it. It becomes more specific as I progress. I’m sure this present piece I’m doing for woodwind quintet using computer graphics will end me up in some unexpected places because I’m working with techniques that are new to me. In fact, it’s a little bit scary. I have to think “dare” because of what I can get the computer to do. I’m not completely sure of it all, and I have to work it out bit by bit and say, “Well, okay. I see now I can do this. If I want to do this, I could do it but it won’t be practical; this I can’t do.” It’s a lot different from doing something in completely conventional circumstances where you know what all the parameters are. There are lots of question marks left with what I’m working with now. BD: Eventually you’ll have to answer all those questions? BD: How do you know when you’ve answered the last question? WOS: I let my intuition be my guide. I just have to feel whether a thing is appropriate or not, and answer my musical intuition. BD: Are you a better composer because you’re also a performer? WOS: Mm. Maybe. That’s hard to answer. [Pause] I don’t know. I enjoy performing music, and maybe have a better insight into how the performer’s mind works than if I were not a performer. But I’m thinking in my head there are composers who were no great shakes as performers but who wrote fine music. But I don’t know that one should be a performer necessarily. BD: Then let me turn the question around. Are you a better performer because you’re also a composer? WOS: I can answer that with a positive response more readily because the more deeply you understand a piece of music, the better you can perform it. My experience as a composer, dealing with the problems of writing music, helps me to have a deeper understanding of the music than someone who’s just dealing with the technical aspects of the performance. BD: When you’re performing, do you approach your own music differently than you approach the music composed by others? WOS: Yes. There’s a lot more freedom. I know that I can change things if I want. For instance, a couple weeks ago I played at the International Clarinet Conference at the University of Illinois, and did my new piece for clarinet and string quartet. There’s a little cadenza before the concluding section that is about a minute of multiphonics, or double-stop effects. The original version I’d written and practiced and played, but through daily practice it changed and varied. I just wrote different notes and wrote different fingerings. If it were somebody else’s piece I couldn’t do that. I’d have to do what they’d instructed me to do and feel a responsibility to do that. But when it’s my own piece, it’s always in a process of growing, or can be since it’s my music. If I want to polish it and change it I have that option. BD: But no one else can polish it or change it? BD: Even if they came up with the same things you did? WOS: Our responsibility as performers is to realize what the composer’s intentions were, and if the composer works with us and you say to the composer, “How do you like this? Could I do this instead of that in this particular passage?” and he says, “Yes,” then that’s fine. But if the composer isn’t around and you start changing the things that he’s asked for, it’s doubtful and not a very good idea. BD: Are all your changes improvements? WOS: In my mind they are. Mm-hm. WOS: Not much. In my process of composition I revise as I am writing, and perhaps during rehearsal for the performance I may make changes. For instance, the quintet that I was speaking of. I had a string quartet here in Seattle read it with me before I went back to play it at the Clarinet Convention, and there was one section that had the string players playing very fast notes that were supposed to be a virtuoso effect that was fast-moving. The string players pointed out that I was going over strings and making it so hard that it was doubtful they could play it up to the tempo I wanted. So I got together with them and simplified the parts. Instead of having leaps over the strings, I smoothed it out so that the notes were more under the hand, and I’m glad I did. BD: But it’s basically the same effect? WOS: Yes, the effect is the same, but it’s more practical for the players to handle. BD: The clarinet can jump registers a little bit, but string players have to get over from one string to another. WOS: That’s right. So I do make changes, but they’re usually before the performance. Once I’ve had the performance and it worked all right, then I go on to the next piece. I might write another clarinet quintet next year and it might be a lot different than this one. Instead of re-writing this one with the other quintet, I’d rather write a new quintet. BD: With this clarinet quintet, did you think about it in terms of juxtaposing it with the Mozart? WOS: Na-ha-ha-ha! The Mozart is so beautiful and wonderful. I’ve written three clarinet quintets now, and I try to make them always as far from having to compete with Mozart as possible. This one, for instance, I called Music for Five Players. BD: But if you have a concert with those five players already together, it could seem that it would be a good way of playing an old piece and a new piece. WOS: Oh, yes! Sure. I would love to do any one of my clarinet quintets on a program with the Mozart Clarinet Quintet, but I don’t want to try and write another Mozart clarinet quintet. This one is as far away as I could get. It’s in seven sections, and the first one is just solo clarinet, with me on stage and the strings off-stage. They play sustained notes that reinforce notes that I’m playing, so it’s essentially like echo effects. In then the second movement the cellist comes on and we play a duet. The third movement is essentially the viola and second violin, so they come on and we play a trio with a little bit of support from the cello. Finally the first violin comes on and plays the violin solo with light accompaniment from us. Then we play the only movement where it’s really a clarinet quintet. The five of us play, and that’s the one with all the rapid notes in the string parts. Then the quartet plays a movement by themselves, and then I play a solo number while they go off-stage. So it’s like a mini-concert of solos, duos, trios, quartets, quintets. It’s nothing like the traditional quintet format. BD: Is this something the audience should know ahead of time, or should they just be surprised? WOS: They can just be surprised, and they were. When we did it at Illinois there were no program notes. It indicated that there were seven movements, but I hoped that the audience would be surprised. It was a piece that I hoped would be full of little pleasant surprises. BD: For what audience do you write? WOS: For myself as a representative of the human race, I guess. But as I mentioned before, I would like to think that there are other people who have similar tastes to mine, and it’s for them that I write. BD: Do you have the audience in mind at all when you’re writing? WOS: A particular audience? No. BD: Just an audience, any audience? WOS: Oh, yes! Always. There’s a sort of ideal audience. It’s as if I were in the audience. If I were listening to this piece, would I be able to understand this? Would this connection be clear? How would I feel about this, if I were the audience? So, it’s writing for my mirror image, I guess. BD: And yet you are not typical of any kind of audience! WOS: Well, I think I am. I am not any type of audience particularly, but I think that in any audience there are people like myself. BD: What do you expect of the audience, the general audience, that comes to hear a new work of yours, if anything at all? WOS: I would hope that they would listen with open ears, and not feel that they had to be given the tried and true and overly familiar. We’re at a strange point in history, or at least in twentieth century history. This is certainly the most conservative decade in all aspects of music that we’ve been through. There is a strong feeling of going back to the nineteenth century, and as one of my colleagues said recently, “Let’s just forget all this twentieth century stuff and get back to where real music was.” I don’t feel that at all. I love the twentieth century, and as a matter of fact I don’t feel very comfortable with the nineteenth century. I like earlier music, but my true love is twentieth century music. So I have no feeling that I want to turn my back on that. But there is a feeling in lots of composers, performances, audiences, that they want to go back and get the things that are comfortable and that won’t rock the boat. BD: For you, what is real music? WOS: Real music is a true expression of a musician. It might be a blues singer, or it might be a total serialist composer, or it might be somebody writing in a completely conservative style, but for it to be real music, it should be a sincere expression of their beliefs, and use whatever knowledge they have to express what they believe is true. BD: Is that the ultimate purpose of music? WOS: Yes. I would say the ultimate purpose of music is to express something that is in you already, and if you can do that it can be meaningful to other human beings who are on the receiving end of it. BD: How do you divide you time between composing and performing? WOS: Every morning I compose for a couple of hours, and I play a couple of hours a day, either rehearsing, performing, or practicing. I suppose my composition schedule is the most rigid. I find that if I can compose every day for a couple of hours in the morning, I feel good. It’s just a physical need. I can go for a few days without practicing or playing and it doesn’t bother me. It doesn’t seem to make much difference. But as things turn out, since I am active in performing in both the jazz world and the non-jazz world, I’ve always got something I’ve got to practice or rehearse or perform. So it’s never a question. I have to make myself compose because there’s no demand for it. I could stop composing and the world wouldn’t fall, but if I stopped playing, it would mean I’d have to cancel a concert that I’m supposed to play next week. I’d have to cancel a tour I’m supposed to do next month, etcetera, etcetera. BD: Are the pieces you write on commission, or are they just things you have to get out of your system? WOS: Sometimes they’re on commission, but more often than not they are not on commission. This clarinet quintet was commissioned by the International Clarinet Society, but while working on that one commission — which took me several months — I had other things that I wanted to do, for instance, a piece for viola. We had a very good violist here that I wanted to write a piece for and had an idea for, so I stuck that in in the middle. I took time out from the quintet to do the viola piece. BD: You can only really work on one piece at a time? WOS: Yes. So if I have one commission for a year, I may do a couple of other little pieces during the course of that year that I don’t have to do, but that I feel good about that I want to do. BD: When you’re offered a commission, how do you decide if you’ll accept it or turn it down? WOS: Whether it’s a work that I feel could interest me or not, and it almost always is. I can’t imagine a commission that would not... well, I guess there could be commissions that I wouldn’t want to accept. Let’s just say I’ve never encountered that problem. Usually it’s been of interest. BD: How about a concerto for ocarina and bagpipe? WOS: [Laughs] Well, that might be a real challenge. But I like challenges! BD: I asked if you were pleased with the performances. Have you been pleased with the recordings that have been made? Those are more permanent. WOS: Right, and also there are more variables including the quality of the recording and how the performers felt on that particular evening and so forth. But I would say by and large that I am pleased with the quality of the recordings that I’ve had. BD: Do you think music works well when it is embedded in plastic? WOS: Yes, I do. It’s like the visual arts such as painting. If you do a painting, let’s take Japanese brush painting, sumi-e painting. It is done like an improvisation. There’s no re-working of it. You just do it quickly, once and for all, and it has the spontaneity of an improvisation, but it’s frozen once you get it, just like a recording is, and that’s okay by me. I don’t see any problem with that. But if somebody records the piece another time, I think it’s good if it’s different. It would be dangerous if we all tried to make each recording of a piece the same as a preceding recording. BD: But with the cut and paste, does it ever become too technically perfect? WOS: A minimum of cut and paste is a good idea. I don’t think of being technically perfect as being a problem. Probably what you’re thinking of is that if you do cut and paste, you get more technical perfection, but lose some of the spirit. But that’s a matter of the producer of the album to get a balance, so that it is perfect enough that you can listen to it repeatedly and not think, “Oh, my God, he played that G sharp where it should have been a G natural, again.” You can get away with more inaccuracies in a live performance than you can on a recording that is going to be listened to repeatedly, but to cut it up to the point where the spirit is lost doesn’t make any sense. BD: To get it to a reasonably high level of perfection, though, sets up an impossible standard to duplicate in a concert hall. WOS: Ah! Well, that’s another question. They’re two different things. Probably that does happen. The recording quality and the perfection of things on record can be greater than the perfection you can achieve in a concert hall. We just take that for granted as listeners. BD: We expect too much of the concert hall now that we’ve been listening to records. WOS: Yes. Oh I do, too! I wish people would make more mistakes. I think it would be nice. [Laughs] We’ve got ourselves so hemmed into striving for perfection that it’s painful to everybody, most especially the performer. BD: [With a gentle nudge] You don’t purposely make mistakes, though, do you? WOS: No, but if I do one, I forgive myself quickly. [Both laugh] We should strive for perfection, certainly, and be glad when we get it. But it’s like my struggling for words in our conversation is different than if I were writing this out on a piece of paper and could stop and edit and cut and paste. I could make a more cohesive, a more perfect stringing together of words, but some of the spirit would be lost, and I think the actual stumblings have meaning. WOS: It’s just as if we wanted every woman to look like Marilyn Monroe. We don’t. It would be boring. Our flaws are part of us, just as our strong points are, and to omit all the flaws is inaccurate and unsatisfying. I remember hearing about Rubinstein doing a recording once, and when he was playing back to the recording he said, “Who is that playing?” The engineer said, “That’s you, Master.” Rubinstein said, “That’s not me. There are no mistakes.” “Oh, we cut out all the mistakes, Master.” “Well put them back in. That’s not me.” You know, it’s not a reflection of my playing. We are our weaknesses and our strengths together, and that’s not representative if we just present our good qualities. BD: You said you would like each performance to be different, and each set of circumstances provides its own impetus. Going back to the first thing we were talking about, the computer piece where the ritards are always the same and you’re doing more dictating, are you not strangulating the pure life out of it? WOS: As I mentioned, not only do I have the possibility of putting very precise limitations on the musician, which are strangling in terms of the freedom we have in terms of most printed music, but if you think of Stravinsky, according to what he said he wanted the musicians to play exactly what was on the page, exactly his tempo indications, exactly his nuances, and he didn’t want them to add anything of their own personality. But it’s impossible! Everybody does. When you hear Stravinsky, L’Histoire sounds much different by one group than it does by another. See my Interview with Ernst Krenek. 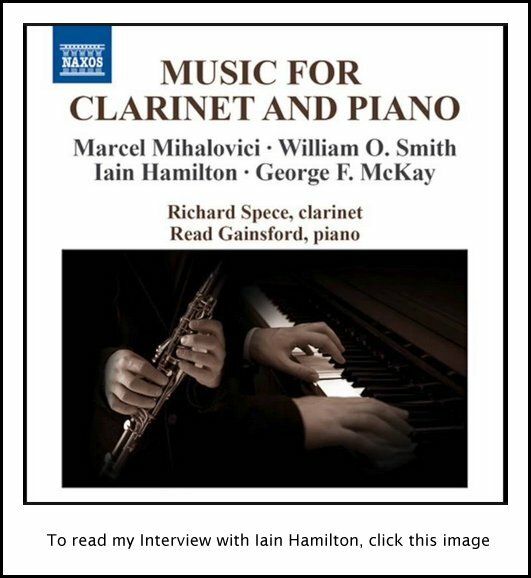 See my Interview with Sir Malcolm Arnold. BD: So then are you anticipating this even in a computer-type piece? WOS: Yes, even in a computer type piece. It would sound much different depending on the musicians that play them, even though rhythmically I could get more accuracy than people have in the past. There are still the freedoms in terms of balance, dynamics, tone, vibrato, types of accent, and the performer still has plenty of choices and chances for their personality to enter in. And if I want, I can open it up so that they do have more choice, so that instead of having to play a note exactly as it passes the trigger line, for example, the trigger line could be an inch wide, and you could say, “Start that note sometime within that inch of space.” You can give them the freedom, but in the rhythmic sphere it depends on the kind of piece you’re trying to bring off. BD: It’s always going to go at exactly the same tempo. You’re not going to be able to have different conductors say it must go slower or it must go faster. BD: Is that something to strive for??? WOS: No. I like conductors all right, having been mainly a chamber music player myself and not put in much time working under conductors. But I know that some of my friends who played with various orchestras full-time have a lot of built-in resentment against batons, and would be happy to follow a computer screen without the ego behind it. [With a smile] But certainly a conductor could say, “Okay, here’s my version of Mozart as I’ve designed it for video monitors, and my 100 musicians can read off these 100 monitors, and I’m going to the Bahamas.” [Laughs] There is still a mysterious quality that conductors bring beyond the actual pacing. BD: There’s got to be inspiration. WOS: Right. So, even if a conductor made his own version for video monitors of exactly how he wanted a piece to be paced, his own personality would be needed. BD: Have you written anything for the human voice? WOS: Yes, I’ve written a lot for voice. WOS: I’ve never been able to find a libretto or librettist that I could work with. I wish I had more ability to handle words myself. I think it would be nice to write my own libretto. BD: Where do you find the texts for your songs? WOS: Mostly it’s been e.e. cummings. A lot of my songs have been his, or also Theodore Roethke and Kenneth Passion. BD: What are the joys and sorrows of writing for the human voice? WOS: It’s the most wonderful thing to write for. All music is an extension of the human voice, and we as humans have an urge to sing. Some of us get violins or clarinets and sing through those instead of through our voice, but still, if you’re a good player, it’s an extension of that urge to sing. The listener, likewise, sitting in the audience, takes it in as an extension of singing. I think of singing as the basis of music, as far as I’m concerned, so to write for the voice you’re just there at the roots of this source of music, and I like it very much. WOS: Oh, yes! It’s the most fun. WOS: Yes, because it’s the one time you’re really in control. You could say, “I know that I want this to be a flute, and I know I want the oboe to come in here, and this is where the percussion will enter.” You make these decisions, stand by them, and that’s fun. It’s not fun if you’re collaborating with somebody and they say, “Now, wait a minute. I don’t want an oboe coming in there. Give me something softer. How about a flute?” And you say, “No, I don’t think it should be a flute. I want an oboe.” Then, that’s murder. But if you’re composing on your own, that’s wonderful. BD: You also play a lot of jazz. Are we blurring the line between concert music and jazz music? WOS: Oh yes, I think so. WOS: I hope so. I think it is. Especially in the United States, jazz is a natural expression for a lot of us, and is a language that is understood by most of us, and to not use it seems to me to be unhealthy and forced. It seems to be natural. Even Roger Sessions, who was no jazz lover, said you can’t help but be influenced by the jazz that’s been around in his life, and things come out in his music that are influenced by jazz. It’s just part of our surroundings, and it makes just as much sense to me that we use jazz here as when we write an American novel the language is different than an English novel. It’s just our language, our way of talking and listening and hearing, and it seems to me that’s the way it should be. BD: Is the music of William O. Smith typically American? BD: Are audiences different around the world from city to city, from country to country? WOS: Yes, I think they are. You can generalize, probably, but in certain countries they’re more sedate, and others they’re more vociferous. BD: Would you rather they be more demonstrative, or a little quieter? WOS: We all like to be appreciated; there’s no doubt. [Both laugh] If somebody likes my music or my playing, I’m very glad to have them demonstrate that. There’s a friend of mine who feels that applause is a bad thing, that the audience is a negative thing. He feels that you played this piece of music for them that has left all of the sound waves orderly and pleasant, and then the applause is a jarring, discordant thing. I don’t feel that at all. It’s the only way we have of showing our pleasure at a performance, and I appreciate it. I think it’s great. BD: Let me ask about a few specific works which are on your recordings. Tell me about the Five Pieces for Flute and Clarinet. WOS: When I wrote those I was in residence at The American Academy in Rome. Fritz Kraber was a very fine flutist also living in Rome, and we did some concerts together. So I wanted to write a piece for flute and clarinet for he and I to play. I wanted to try and include some of the multiphonic explorations that I’d been working on in that piece, and it’s the first piece of mine that has use of multiphonics in it. Actually, in 1959 I did a recording of my Five Pieces for Solo Clarinet for Contemporary Records, and there is one multiphonic that I put in the concluding sonority that actually wasn’t written in the piece. But I was excited by the idea that I could play a chord there instead of a single note, and so I did. But this was the first composition where I designed it to use special clarinet effects. BD: Where does that leave the Fancies for Clarinet? WOS: The Fancies were written as pieces demonstrating the various types of multiphonics that I had uncovered. Before that I had recorded Variants for Solo Clarinet, which is the first piece I wrote for solo clarinet using multiphonics. That was on the CRI record, “Two Sides of Smith.” That has Mosaic and Variants on it, which are both, likewise, explorations of multiphonic sounds. BD: Is it gratifying to play clarinet alone, as opposed to clarinet in a chamber group, or at least accompanied by piano? WOS: Yes, it is. It’s a different kind of experience. If you’re an actor and you do something with three other actors, there’s a pleasure in the interrelating with the other actors, and I like that a lot. On the other hand, if you have a solo thing, it’s a heroic endeavor where you’re on your own, and I like the challenge of that, too. Probably playing with others is more rewarding. The interrelationship with others is more rewarding, but there is the challenge of trying to make something by yourself, especially with the clarinet, that will maintain the interest of the audience. That’s something one can enjoy the challenge of. BD: Another recording is The Eternal Truths. WOS: I ran across the Sheldon Kopp Eternal Truths, which on the one hand were amusing and on the other hand true. So when the Soni Ventorum asked me to write a piece for woodwind quintet, I thought that would be a fun thing to do, to have those little bits of folk wisdom interpolated with the music. I felt very good about the way the Soni brought it off. They thought it was fun to do, and they did a nice job with it. 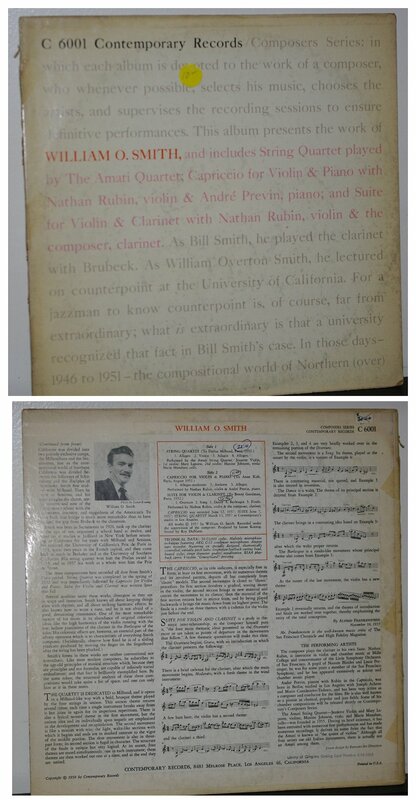 BD: What other recordings would flesh out the picture of William O Smith? WOS: There are four large-scale works for jazz group and symphony orchestra that I wish were recorded, or at least some of them, and I wish that some of my music with string quartet had been recorded. Actually, there are two early recordings of chamber music that were recorded by Contemporary Records in the fifties which I wish were still available, and one of those is my First String Quartet. Since that I’ve written two others, and three clarinet quintets with clarinet and string quartet. I’m particularly fond of string quartet, and would be happy if those were available or recorded. Of course it would be just fine if somebody wanted to put out all of the things I’ve written to get an idea that my music varies a lot from one piece to the next. BD: Are all your clarinet compositions for the standard B-flat clarinet? WOS: They are for the B-flat clarinet or the A clarinet. BD: I just wondered if you ever wrote for E-flat clarinet, bass clarinet, or basset horn. WOS: I’ve never written for basset horn. I’ve written for bass clarinet and for E-flat clarinet, but mainly it’s B-flat clarinet that I’m most interested in. BD: Would you ever want to write something for a choir of clarinets? WOS: Yes. I have a commission to do a piece for three clarinets, which will be two clarinets and bass clarinet for a concert here in the winter. While I was in Illinois I heard the University of Illinois Clarinet Choir, which was very beautiful. It was like a string orchestra. It was amazingly good, and if I were invited by them to write a piece I would be glad to do it, but it’s not high on my list of priorities. Actually, I like strings a whole lot, and two of my pieces that I feel especially good about are Twelve, which was written for a string ensemble, the Northwest Chamber Orchestra, which was twelve string players, and Elegia, which was likewise for a string orchestra with clarinet. It appeals to me more to write something for string orchestra than it does for clarinet choir. BD: For variety, or just that’s the way you want it? BD: [With a gentle nudge] You don’t feel like you’re being traitor to your reeds? BD: You go by William O. Smith? BD: I wonder if there’s anything Freudian about that. Is Bill Smith a little more relaxed, and William O. Smith a little more formalized? WOS: You wouldn’t have a jazz recording by a Benjamin Goodman. It’s just a tradition in jazz to use the most friendly version of your name possible, and in classical music you don’t have Lud Beethoven and his boys. You use the formal. I don’t think there’s anything Freudian, but certainly there’s a psychological drama there. You’re representing two kinds of music, one that is informal and where you’re called Bill, and another that is formal and where you’re called William. BD: After blurring the line, though, which name do you really prefer? BD: And yet it’s Bill Smith, not Bill “Cool Embouchure” Smith. WOS: No, right. [Laughs] Right, right. BD: Thank you for being such a multi-faceted musician. WOS: Well, thank you. I hope that the broadness of my experience is useful. It would have been much easier to have just been a jazz musician, or have just been a classical musician. My hope is that from time to time I’ve been able to bring the best of both worlds together in some sort of a marriage of the two influences. Whether this is the case of not is up for the listener to decide. BD: I look forward to playing more of your music on WNIB. [Checking the biographical detail] When is your birthday? WOS: September 22, 1926. I’m 60, going on 61, and I still feel like a grad student. It’s a little hard to imagine... I haven’t come to grips with entering into my sixties. JOHN EATON - Bill (William O. Smith) was not a pianist, but a magnificent - the best in my opinion! - jazz and classical clarinetist. We had a group in Rome that toured Europe and the USA doing concerts of contemporary music, jazz, and especially, both on the same program. 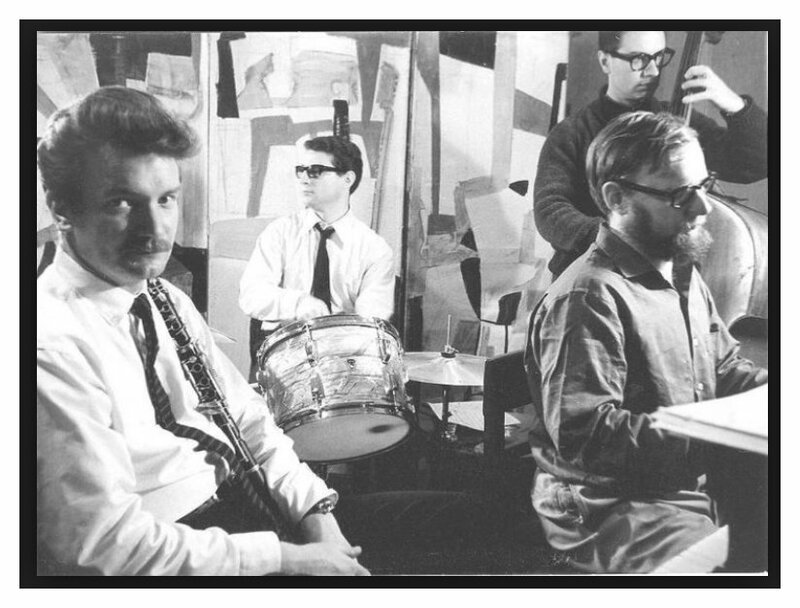 We met the fall of 1960 and immediately began performing written compositions, jazz and other music together around Italy, and then for Columbia Artists in the USA. We recorded 2 jazz albums, one for RCA Victor, New Sounds: Old World with Erich Peter and Pierre Favre, and one for Epic, New Dimensions with Richard Davis and Paul Motion. BD: Is there any one thing that’s the most surprising aspect of music, that you wouldn’t have thought would happen, as you look back on your years of music-making? WOS: One of the surprising things of my career has been that I performed with Dave Brubeck regularly and enjoyed it. We were good friends and college buddies, and we concertized a lot together. Then he went his way and I went mine, meaning that my emphasis was on college teaching and his was on road concretizing. Then just a few years ago, Dave called me and asked if I could play with him on a regular basis again, and I told him I’d be pleased to as far as I could fit it into my teaching schedule. So for the last few years I’ve been playing regularly with Brubeck again, and this is a surprise. I never anticipated that fate would bring us back together again, and I’ve enjoyed it very, very much. It’s been very nice... more than very nice, it’s been splendid. BD: When you’re teaching at the university, are you teaching clarinet or are you teaching composition? WOS: Mainly composition, and I’m director of the contemporary music group. I also teach jazz improvisation and jazz arranging, and occasionally have a clarinet student. 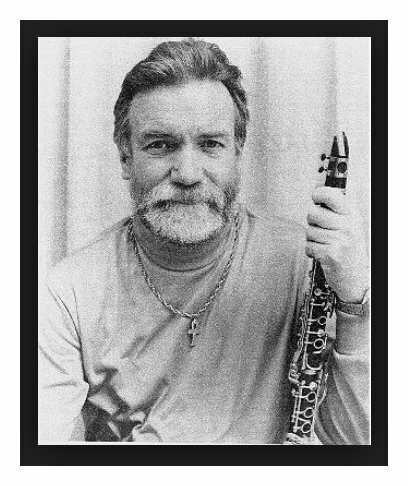 Bill McCall is our main clarinet teacher. BD: Is musical composition something that can be taught? WOS: Well, like poetry can be taught or painting can be taught. You help the person with the basics, and after that try to guide them as best you can, helping them to find their own path. It can’t be taught like you teach mathematics. I suppose it is sort of like going to a psychiatrist — they can help you to bring out things that are already in you. You can’t take someone who has nothing in them and say, “Okay, I’m going to give you this music. You will now be a composer. Here are the theorems you have to work with.” But if they have compositional ability, you can help them to realize it. BD: Where’s the balance, then, between this creative ability and the technical achievement? WOS: The technical achievement is in the basic learning of grammar. If you want to be a poet, you first learn traditional grammar and literature and Shakespeare, etcetera. I would think that you would want to know what went before you, and be able to construct sentences and essays in terms of conventions that make sense. After you can do that you can handle things more freely and in a more individualized manner. In the advanced things your teacher is just more of a guide than someone who is giving you rules and regulations to work by. It’s the same in painting as in musical composition. You start out and learn strict counterpoint and Bach counterpoint and nineteenth century harmony, then traditional orchestration. All these things strengthen you, but in the long run you try and find your own path, and in finding your own path, the best you can hope for is gentle guidance. BD: One other balance question. In music, where is the balance between art and entertainment? WOS: If your audience falls asleep while you’re playing, then it is all for naught. Art has to have some impact on the audience; it has to entrance them. Entertain? It’s a tough question because the word ‘entertainment’, in our vocabulary, has been taken to be a naughty thing, a cheap thing. Yet Shakespeare is entertaining; Molière is entertaining; Mozart’s entertaining; Haydn’s entertaining. BD: Is William O. Smith entertaining? WOS: Oh, I hope so. I think so. I would think especially something like Eternal Truths would be entertaining. But we have identified entertainment in our society with a striving to make money. If you’re in the entertainment industry, it means you’re doing everything you can to reach a mass audience and thereby get rich, and that’s incompatible with trying to do anything worthwhile, actually. You might happen to do something worthwhile that does make money and does appeal to a lot of people, but if the aim is in money-making, I think it’s a wrong pass. That’s what we think of ‘entertainment’. If you’re in the entertainment industry, it means you’re in the “let’s make a lot of money off of it” industry. BD: Rather than creating something of lasting value? WOS: Yes. I’m not sure what the dictionary would say, but I think ‘entertainment’ would probably have a broader definition than that. BD: You expect your music to last, don’t you? WOS: Yup. Well, some of it. I’ve written about 140 compositions, and I would hope that at least some of my clarinet pieces would last. I’m not optimistic enough to think that a lot of it will last. I’m very aware of how many composers we have in the world, and how many compositions each of them have written. It’s overwhelming. When my contemporary group put out a call for people to send string quartets, we wound up with hundreds of them! And some were very good ones. Our epoch is so full of composers. We just have so many people and so many composers and so much music on paper that you have to have a very strong ego to feel secure that yours is going to be chosen to live forever. But one would like to see that happen. BD: [Noting the time, then looking out the window to check the weather] How is it out? Is it raining still? WOS: Really? Oh, God. Isn’t that something? BD: We did last time we came, and we didn’t need it! WOS: But that’s good. Maybe you scared the rain away that time by bringing it. WOS: You fooled me last time, but not anymore. Summers are delightful here. Actually, I think it’s great to have some cool air. Our winters are mild, but we do get a lot of gray skies and a lot of rain. BD: But you never get the bitter cold like we get in Chicago. WOS: Oh, never. We have a week of snow at the most, and it’s not uncomfortable. It’s no big deal. I’ve never been through a Chicago winter, but I have been through... oh, wait a minute. I have been through a Chicago winter, but many years ago when I was twenty years old. I played a couple of months with a band at one of your big ballrooms there. WOS: Yes, the Aragon Ballroom, and man, that was cold. I remember I had on my California clothes, and that wind blew off the lake and right through them! [Mimics the wind] I couldn’t believe it, so I bought a new wardrobe. BD: We get mild winters once in a while, but then we get two or three brutal winters. WOS: I spent a winter in New York, and that was really cold. I was brought up in California and lived for several years in Rome, and most of the winters I’ve experienced have been sissy winters. BD: [Laughs] Before coming to Seattle this time, I got a letter from William Bergsma. We’re going to try and get together while I’m here, and he mentioned that he didn’t think you’d be here. He figured you’d be in your apartment in Rome. WOS: Oh, yes. [Laughs] Up until these last few years when I’ve been with Brubeck, I did spend every summer in Rome because my son lives there, and we have an apartment still that we got in 1960 when I first went there. My wife and I enjoy going back there in the summers a lot, but now I tour during the summer with Dave so much that we just squeeze in our visits to Rome whenever we can. This year we’re going to go back at Christmas to see my son. BD: And you have to squeeze those trips into the academic year, too. WOS: Oh, yes. But Christmas vacation’s a good time. Dave doesn’t do many concerts during the winter, and I’m off from school at that time, so it works out well. BD: Thank you for sharing a little bit of your time with us today. WOS: I’m glad to. I’m glad you’re taking an interest in new music and helping us out. There’s not that much. Every little bit helps. Take it easy. It was nice to meet you. 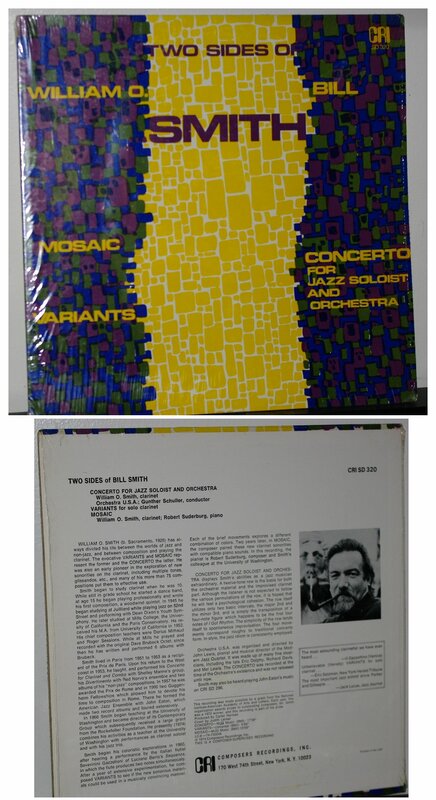 The original LP of "New Music for Virtuosos" at left. A second LP was issued soon thereafter. The CD shown below is a compilation of much (but not all) of the material on the two LPs. 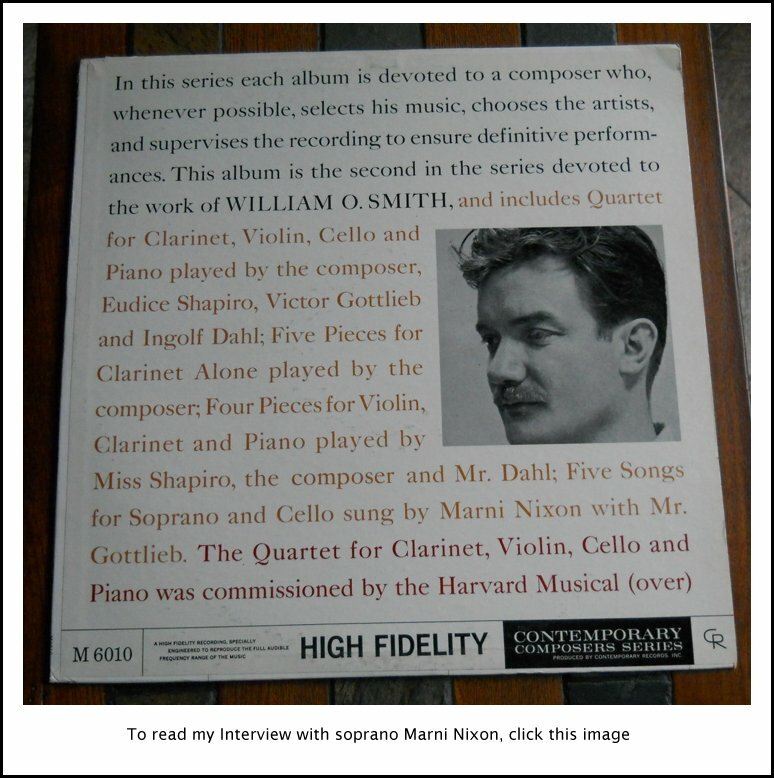 See my Interview with Milton Babbitt. See my Interview with Leslie Bassett. See my Interview with Charles Wuorinen. See my Interview with Robert Erickson. See my Interview with Andrew Imbrie. See my Interview with Harvey Sollberger. See my Interview with Bertram Turetzky. This conversation was recorded in Seattle, Washington, on July 31, 1987. Portions were broadcast (along with recordings) on WNIB in 1991 and 1996. This transcription was made in 2015, and posted on this website at that time.